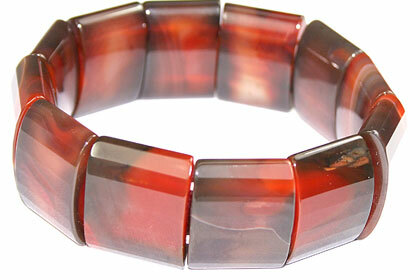 Jasper's charm lies in as much in its striking colors as in its amazing streaks and patterns. 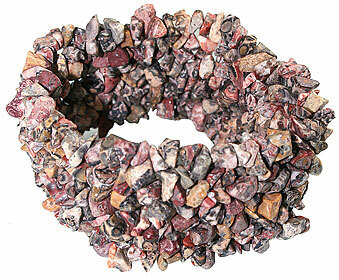 Check out our jasper beaded bracelets. Just perfect for casual wearing. Buy it now, limited stock. 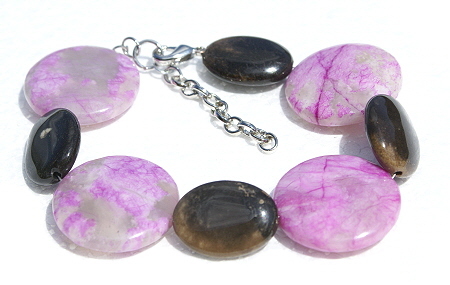 The chunky collection of jasper bracelets will make an unusual style statement on your wrist. 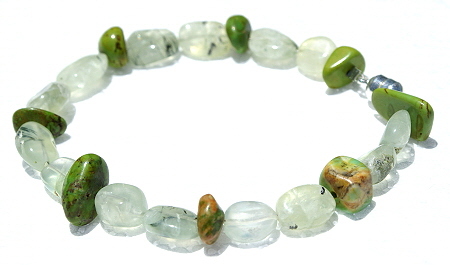 Jasper gemstone found in a variety of colors is often named according to its pattern: landscape jasper, ribbon jasper, picture jasper, ocean jasper, snakeskin jasper, Dalmatian jasper, camel jasper, silver leaf jasper, fossil jasper, star galaxy jasper, coconut jasper, rainforest jasper an so on. The name explains the beauty of each unique and interesting pattern. 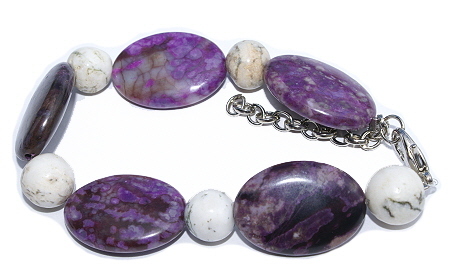 Indeed a very interesting gemstone. 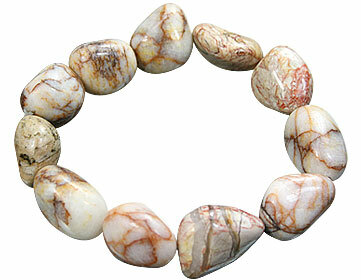 More about Jasper: The name jasper is derived from the Greek word iaspis. 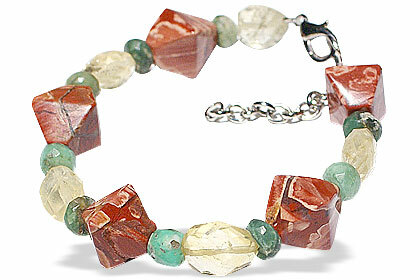 In ancient writings the term jasper was chiefly applied to translucent and brightly colored stones, particularly chalcedony, but also was applied to the opaque jasper. 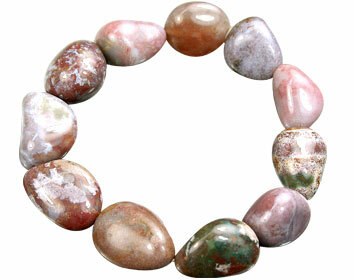 Jasper was known as the great "rain-bringer" in the fourth century. 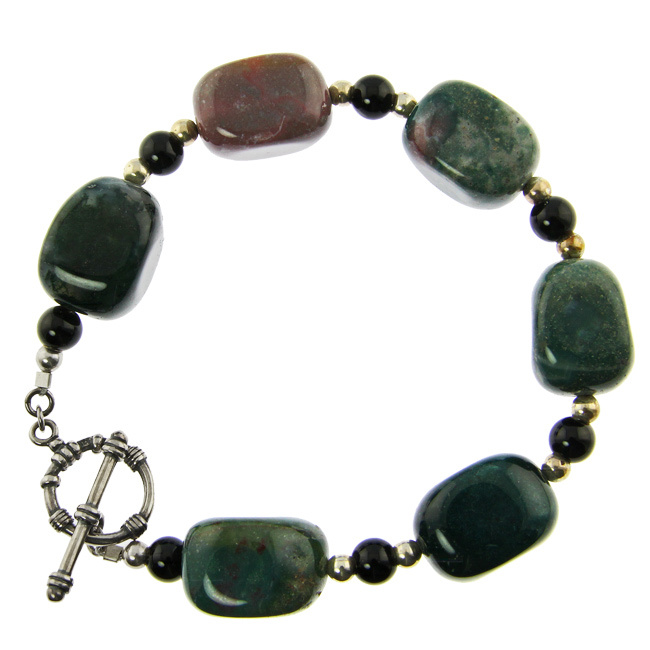 For thousands of years, black jasper was used to test gold-silver alloys for their gold content. Rubbing the alloys on the stone, called a touchstone, produces a streak the color of which determines the gold content within one part in one hundred. 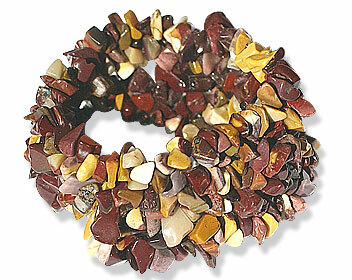 Jasper is one of the gemstones, that used in commesso, also called florentine mosaic. 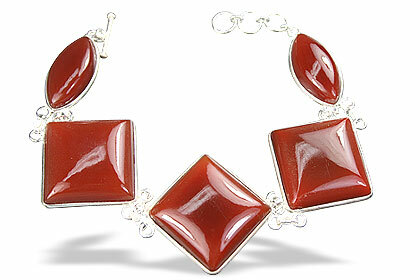 Jasper exhibits various colors, but chiefly brick red to brownish red. 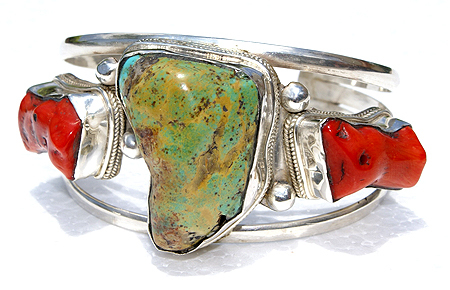 It owes its color to admixed hematite, but when it occurs with clay admixed, the color is a yellowish white or gray, or with goethite, a brown or yellow. 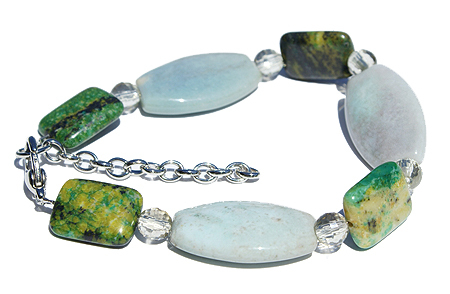 Often jasper is found multi-colored. 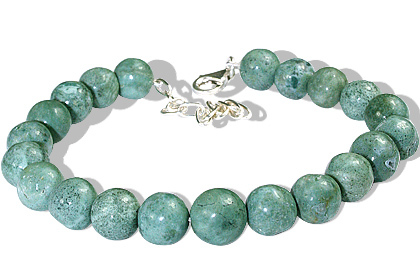 Chemically SiO2 , Jasper is opaque, fine-grained or dense variety of the silica mineral chert. 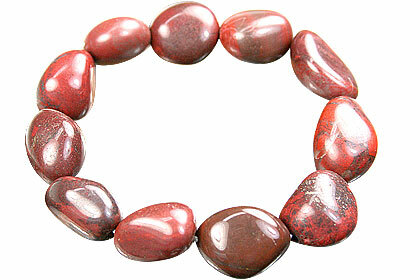 Jasper has a dull lustre but takes a fine polish. 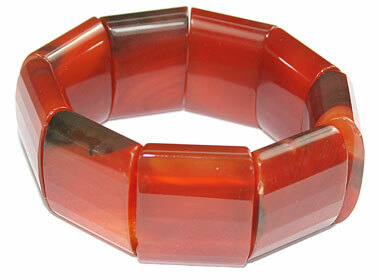 Its hardness and other physical properties are the same as those of quartz. 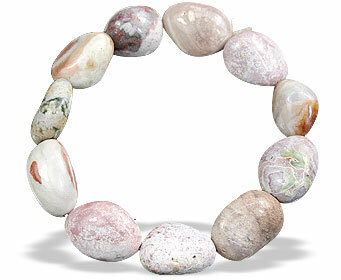 Jasper is a wonderful supporting stone. 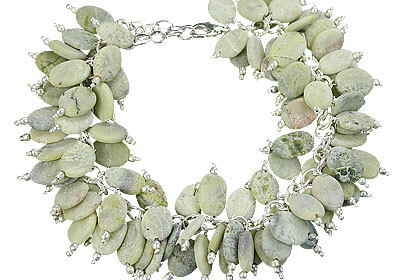 Wear it to gain a positive outlook. Attracts what one needs (not wants). Good for those needing more organizational abilities. 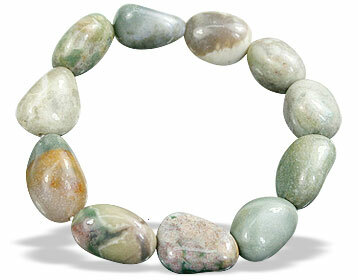 Mood elevator, invigorating, stabilizing and helps overcome depression. Useful in overcoming disorders of blood, digestion, stomach, biliousness and bladder trouble. 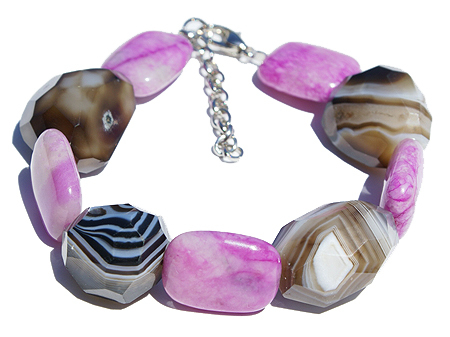 Jasper is common and widely distributed, occurring in the Urals, North Africa, Sicily, France, India, Venezula Germany, and in USA.